False Mirror is the dark ambient project of Berlin’s Tobias Hornberger. He’s been creating music since 2007’s release of Chronostatic Scenes on dataObscura. But, he really made an impact on the dark ambient world with his third release, Derelict World, in 2010 on Malignant Records. Derelict World consisted of eight highly atmospheric tracks, filled to the brim with field recordings. The album was rounded out with some subtle dronework, but the field recordings really helped to create a dark and abandoned soundscape, which would draw many a dark ambient fan into its grasp. 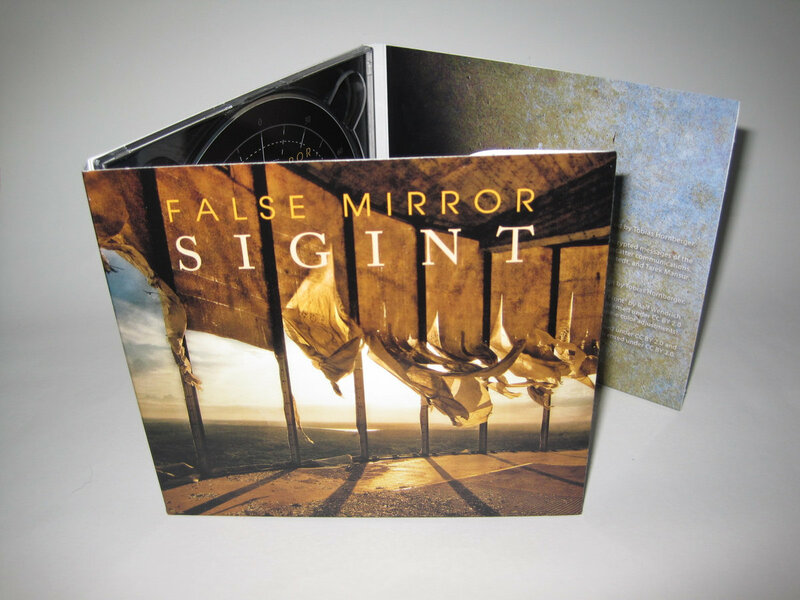 Now, eight long years after the release of Derelict World, False Mirror has released a new album, SIGINT, again through Malignant Records. For fans of Derelict World, SIGINT will prove to be a relatively different experience. The use of field recordings is still quite heavy, but the album takes a more demanding stance. The dronework is much more pronounced and there is frequent use of choral vocal samples. And, of course, there are still plenty of field recordings throughout the album, helping to keep the visual (perceived) elements at the forefront. The defining differences between SIGINT and Derelict World begin with the theme. Whereas, Derelict World let listeners gaze into an abandoned world, one that has been slowly decaying, possibly for centuries, the focus of SIGINT is much more technologically driven. False Mirror is one of the unsung masters of field recording use within the dark ambient community, not only gathering the necessary source material from his fellow colleagues for his own albums, but also sharing his personal collection with other musicians, as in the case of Astral Unity by Phelios, among possible others. (I don’t doubt they exist but I’m unaware of any others.) While the field recordings on Derelict World were mostly of nature (plenty of water running and winds blowing), SIGINT uses much more unusual source material. Sources specifically mentioned in the digipak include: various electronic transmissions, encrypted messages of the German BND and Russian FSB, beacons, over-the-horizon radars, and troposcatter communications. And, like on Derelict World, he has once again acquired source material from Axel Baune, Dieter Trustedt, and Tarek Mansur. The combination of these field recordings and theme with the previous styles False Mirror has explored creates a very interesting feel, which took me some time to fully grasp. Upon initially reading the album blurb on Malignant Records Bandcamp page, I was assuming this would be some kind of highly synthetic-feeling “spacey” sort of dark ambient, with little personality or emotion. I’m not too keen on the overly sci-fi/space-ambient releases, in general, and didn’t necessarily give SIGINT the attention it deserved in the first few months after the release. Luckily, I returned to the album, and really gave it a few thorough listens and the intricacies, detail, and emotion of the release revealed to me that I was quite mistaken in my first impressions. The combination of cover-art, track titles, and general feel of the album have all lead me to find a better interpretation of what SIGINT is about. Interestingly, Derelict World was compared to The Canceled Earth by Cities Last Broadcast. But, I find that SIGINT is actually much more in-line with that album’s theme. For me, SIGINT is a window into the remnants of a dying or dead earth. Comparisons could also be made to the 214X series of albums by Sabled Sun, but SIGINT, like The Canceled Earth, focuses more on the atmospherics rather than the cinematics. All these transmissions and signal noises, combined with the drones, sparse piano sections and choral voices, gives us a feeling of reminiscence for a dead civilization. The technical field recordings give us the feeling of those old machines spitting out sounds as the last of their dying battery power fails. The more musical elements add a sorrow to the mix, a true feeling of emotion, which is often not present on sci-fi/space ambient releases, and thusly why I don’t enjoy those sorts of albums so much. So, the technicalities of the release are all top-notch for me. But, further than this, there are some incredibly memorable tracks presented on SIGINT. This is a feat that wasn’t so well accomplished on Derelict World (maybe it was not intended, that would be fine too). “Corona” reminds me of the feeling I get from “District Delta” by Cisfinitum on their magnificent and highly underrated album, Landschaft. It has a glacially-paced build up, which one barely feels becoming more extreme, until the listener finds themselves fully enraptured by the utter beauty, but also power, which seems to emanate from the track. Likewise, “Troposcatter” manages to dig its talons into the listener’s mind, demanding our attention, but also our emotion, as if it is some sort of final mournful ode to humanity. Derelict World had a beautiful physical presentation, vivid visual art combined with a mournful story filled the accompanying booklet, and the last few pages were a detailed log of the exact times, locations, and equipment used for creating each track. SIGINT takes a different, but no less impressive direction with its physical presentation. The cover-art is, in a word, spectacular. It doesn’t necessarily convey a stereotypical darkness, little of the album does. Instead it presents us with the remnants of some old scientific/technological facility. We may gaze out, through the torn cloth remnants which blow carelessly in the wind, at a distant horizon, with no signs of other human presence anywhere in between. The booklet is, in fact, a “Cryptographic Manual”, which explains in detail how to decipher an encrypted message. Interestingly, at the end of the booklet, we are told to “EXAMINE TRACK 10”, the track entitled “Message”, which ends the album. 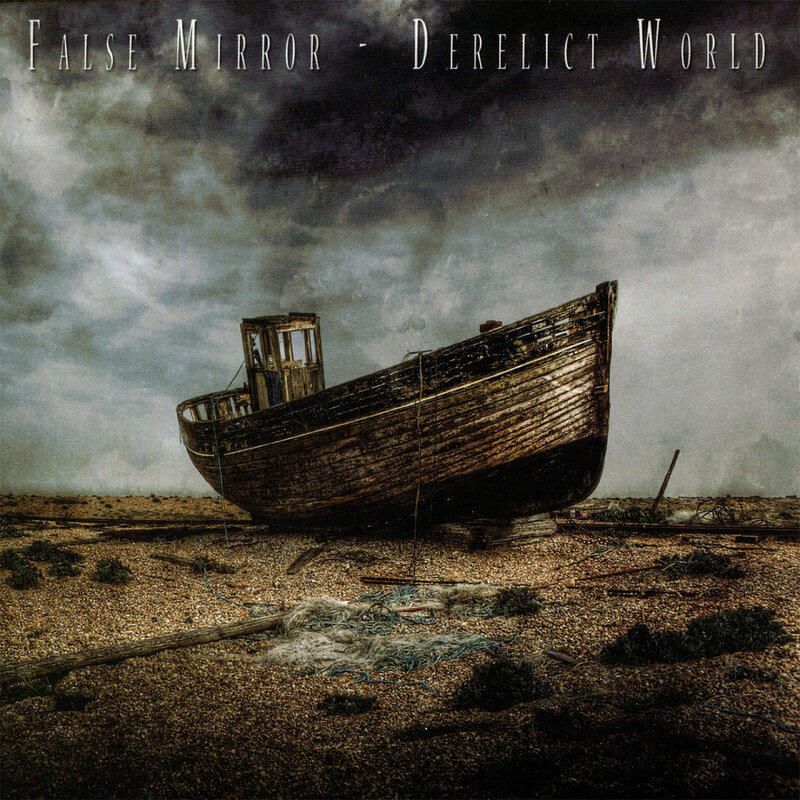 Just as I’ve seen in an old review of Derelict World, False Mirror invites listeners to actively take part in experiencing this album, studying this manual should allow the listener to decipher the encrypted message at the end of the album, leading to some hidden secret. 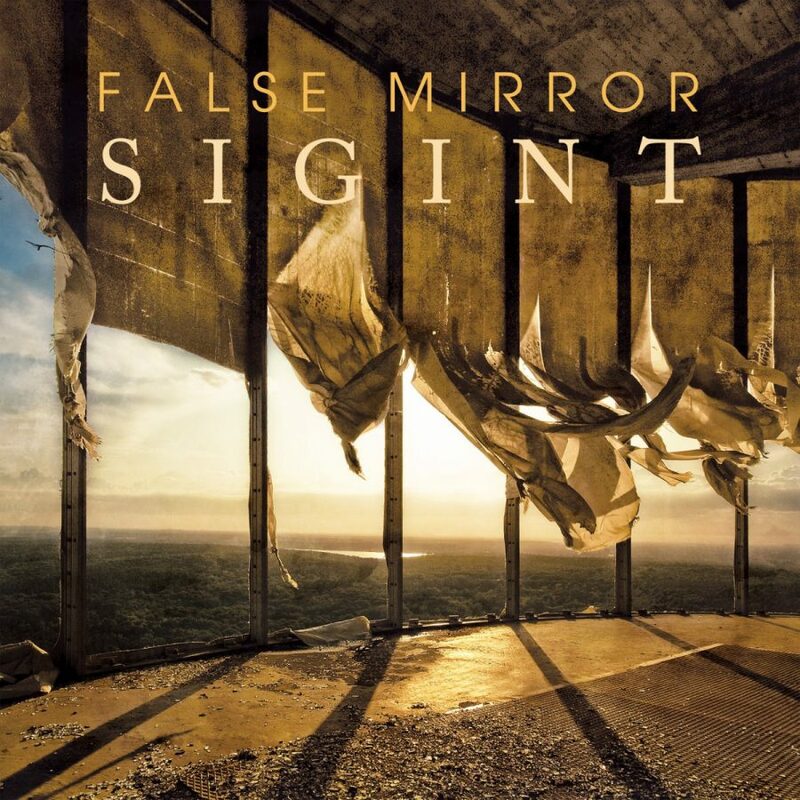 SIGINT is a tour-de-force return to the dark ambient scene for False Mirror. The subtleties of the album are only paralleled by the equally bold and emotionally-driven moments. Even more so than in the past, False Mirror has allowed all elements (drone, field recording, voice sample, etc.) to rise to the surface and hold their own amongst one another. The album is a beautiful soundscape to play in the background while reading, studying, or writing. But, when given full attention, its merits blossom and the listener can become fully enraptured in its depth. False Mirror reminds us, after far too long, why their name has had a lasting impression within the genre, while their output has been anything but frequent. Malignant Records also remind listeners, with this release, why they are one of the forefront labels in the dark ambient genre, even if their dark ambient output is less frequent than some of the other big dark ambient labels. SIGINT is a highly recommended release for any discerning fan of the dark ambient genre. Sysselmann – Live at Mir – Review, Exclusive Full Album Stream!